Even though we all come across competition in various areas of our life, there are few more competitive environments that the workplace. We all want to be recognised for doing a good job, we all want to be praised by the boss and, although we may not want to admit it, we all want to be seen by our work colleagues as the one to beat. Then again, don't we all have somebody we have come into contact with through work who thinks the complete opposite? The one who doesn't contribute to meetings, the one who seems to be there just to make up the numbers, the one that we all secretly know is wasted in their current position and could shoot up the career ladder if they chose to. These people don't believe in themselves to be winner, and that is where these Winning Formula corporate ecards can make a huge difference. 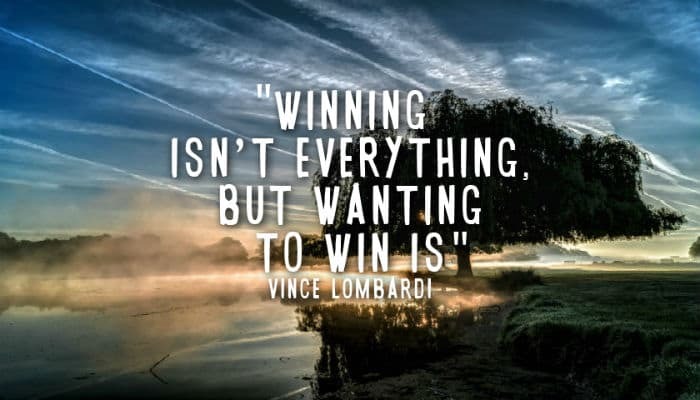 The dramatic image serves as a backdrop for the legend courtesy of NFL legend Vince Lombardi “Winning isn't everything but wanting to win is”. Wise words indeed which should get the message across that winning is not as important as actually being the race rather than making up the numbers. Are you a small business looking for a professional yet cost effective e Christmas cards for business, well you’ve found the right place with Ecard Shack.